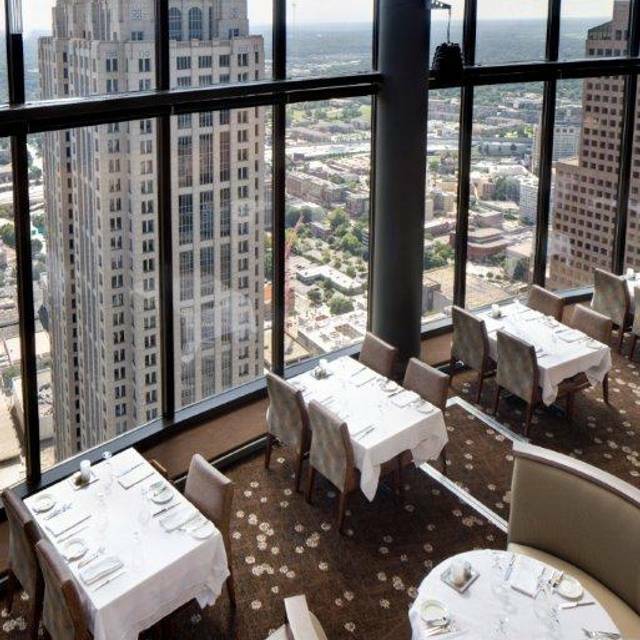 You must make reservations at least 5 minutes in advance of the time at The Sun Dial Restaurant at the Westin Peachtree Plaza. The Sun Dial Restaurant will validate parking for diners parking in the motor lobby of the hotel, based on availability, for up to three hours. Validation is applicable to both valet and self-park options. Lounge Validation: Must spend $75 in the lounge to receive 1 validation. For each additional $75 another validation will be offered. Alternate parking validation is available for parking at Central Parking Systems located at 15 Andrew Young International Blvd. Enjoy the smooth sounds of the Mose Davis Trio every Wednesday and Thursday evening from 7 p.m. 11 p.m. at The Sun Dial Restaurant, Bar & View when the jazz trio"s rhythmic beats transform the rotating cocktail lounge into a live jazz bar. The combination of live music and breathtaking views create the ideal venue to unwind after work. The Mose Davis Trio is comprised of classically trained musicians Mose Davis (keyboard), Gary Wilkins (base) and Marcus Williams (drums). Mose Davis, a former member of The Counts, has performed NATIONWIDE for 30 years and recently released a solo album. 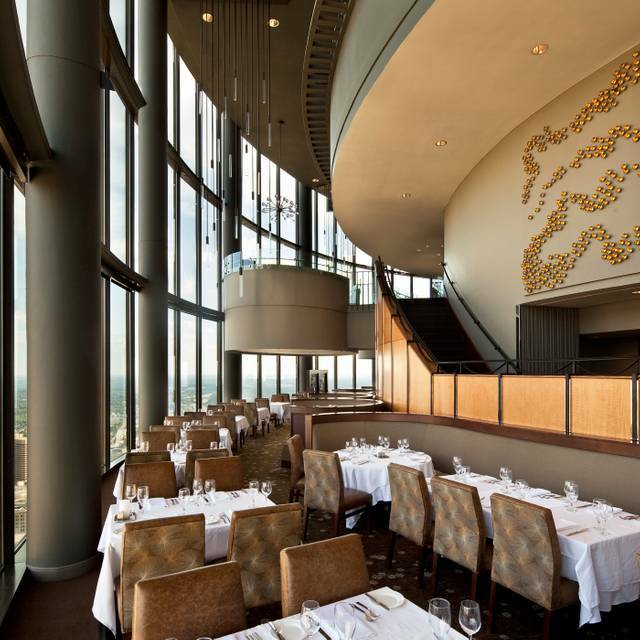 The Sun Dial Restaurant, Bar & View offers Atlanta"s best view and the city's most unique venue for intimate or large receptions, including dinner parties, high school proms, rehearsal dinners, weddings and corporate functions. 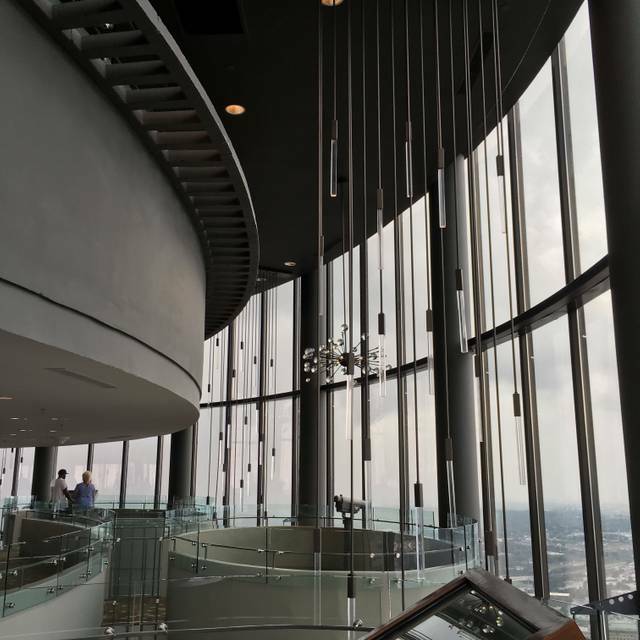 The Sun Dial accommodates parties up to 650 guests. 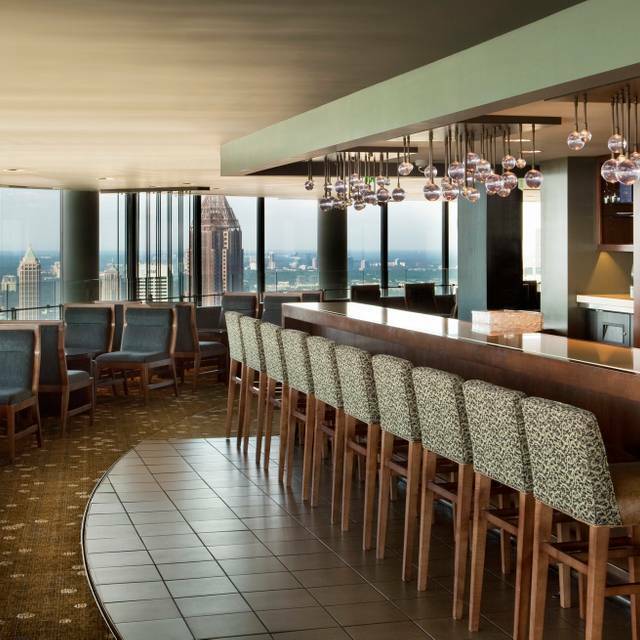 An exhilarating 85-second ride in one of our two scenic glass elevators will carry you to The View atop The Westin Peachtree Plaza, the tallest hotel in the Western Hemisphere. 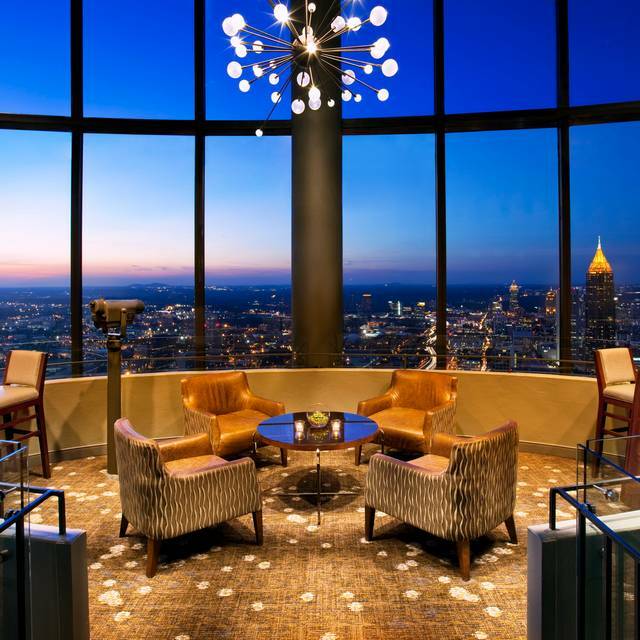 From this level guests delight in the bird's eye view of the bustling Atlanta streets below. The View is the perfect place for observing Atlanta's famed landmarks, stadiums, and natural features. The Sun Dial Restaurant welcomes diners to enjoy its modern, upscale setting and unbeatable views. 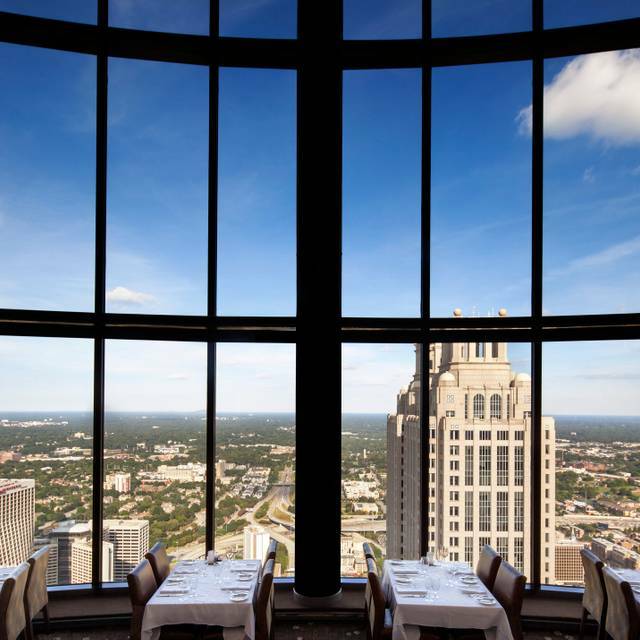 Standing 723 feet above Peachtree Street, The Sun Dial is Atlanta's only tri-level dining complex that offers 360-degree panoramic views of the city's skyline. Diners enjoy seasonal contemporary-American dishes, inspired by local ingredients and crafted by Chef Justin Mason. 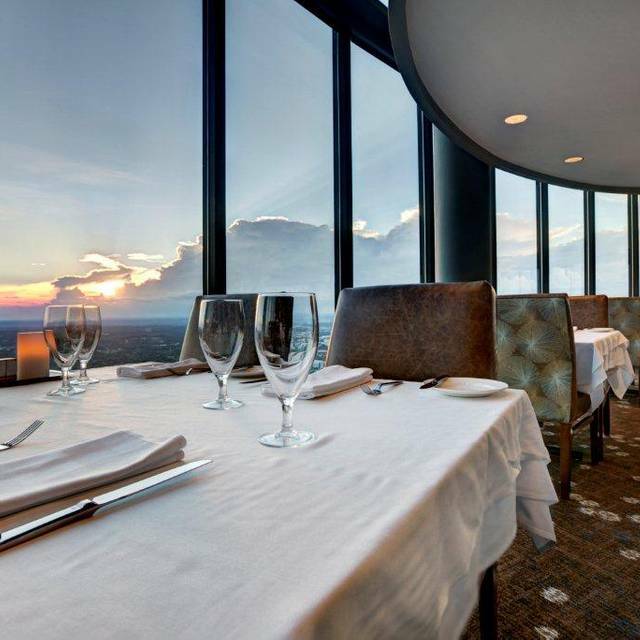 With spectacular views, tantalizing menus and live jazz to create the perfect ambiance, The Sun Dial Restaurant Bar & View truly is the ultimate Atlanta dining experience. *PLEASE NOTE THAT OUR ROTATION FEATURE IS CURRENTLY UNAVAILABLE. I wish we could have had the rotating experience, but completely understand why it doesn't. Our waiter was perfect! LaCorey took great care of my sister and I. It was a phenomenal experience. It was my first time at the Sundial. Amazing views of the city. We went for Sunday brunch. We shared the baby wedge salad and they split it for us, good portion for both of us. I had the pulled pork Benedict and my fiancé had the croissant sandwich with the fries. All the food had an amazing flavor and the portions were very generous. We will definitely come back. Went to brunch on easter with my kids. I was pretty disappointed to see the childrens' menu not include a brunch option instead it was standard fare for children. I think the sundial could have done better here and I don't think I will return. On special events, they really should have something special to offer. The adult menu was good, but still lacked a feature of brunch which was the purpose for the event. Had. brunch on Easter at the Sun Dial restaurant. The view of the city is really nice. However, I would say that the food is average. 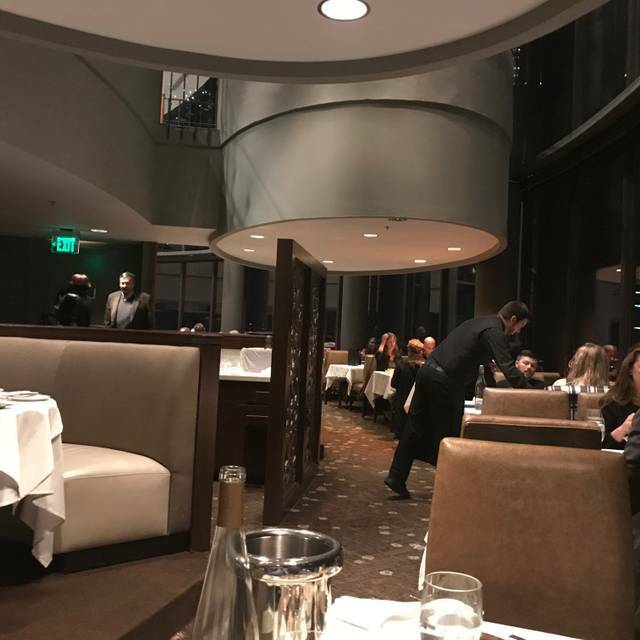 While I don’t think the food is necessarily bad, i do believe that it doesn’t “align” with the beautiful view of the city that you experience while visiting the restaurant. 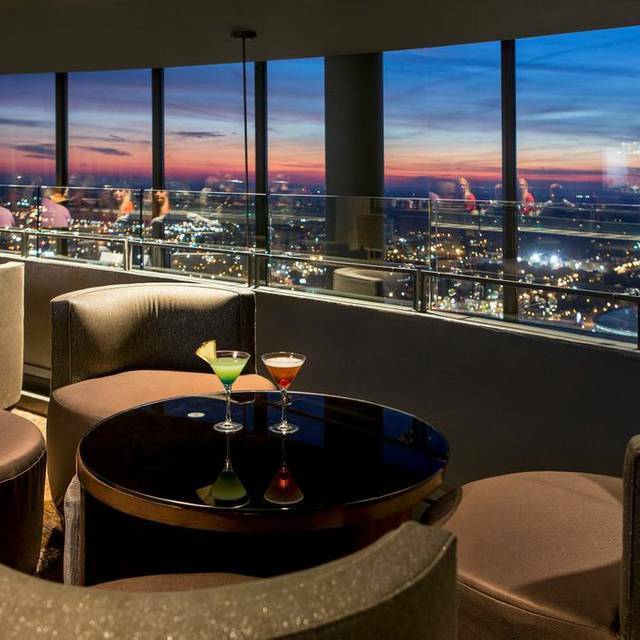 Fantastic food, great city views from 72 stories up. Great place for special occasions. Our server David was phenomenal. We came here for my mom’s 50th birthday. Everything from the view to the service and most importantly the food was amazing. Not only did she enjoy herself but we enjoyed it as well. First time visiting. Staff made a great impact on the flow of everything. View was amazing and so was the food. Cant wait to return. It was wonderful lunch. My all family love Sun dial. All the employees were kind, and as soon as possible, I will visit with my friends again. The Sundial was a great experience for myself and my date. The food was delicious, our server was excellent, and the ambiance was phenomenal! Would definitely recommend this Atlanta classic to anyone. Wow- we had a beautiful dinner with an amazing view. Our server Ann, made the night very special. This was my third trip to the Sun Dial and I was disappointed. My chicken salad was just an ordinary salad and not worth $37. I was expecting something really unusual. My chicken was very DRY. The other 2 times the food was outstanding! Rhonda made our dining experience. She was extremely attentive and sweet, as were the gentlemen who made sure our water glasses stayed full. We hope to see her again soon. This was our 4th and BEST visit so far. Next time we visit Atlanta, from Florida, we will definitely go back for brunch. The Sun Dial was an absolute pleasure to dine in. I enjoyed every minute spent. From the view to the food I most definitely would recommend you to reserve a table here for whatever event you have in mind. You will not regret it. Great view and delicious food! If you are going for the view, it was fantastic. The desserts were great as well and also our waiter and the manager. Our entrees however (most expensive part) were not close to being up to par for the price. We got the N.Y. strip and ribeye and my husband ordered his medium and it got sent back twice. First overcooked and second time was sent back rare. Maybe it was just a bad day for the chef but manager helped us out with our cost on the ticket which was nice. Took wife and daughter for Saturday lunch and we had a very good experience. Our server was good and very friendly, and our food was good as expected. Lunch was an easy time to go, and we would do it again. The only disappointment was the place was not rotating as it had for 40 years...please bring that back! Mike was a great server. Food was very good. Sure hope they get the rotation back. Absolutely wonderful experience for both my fiance and myself. We enjoyed it 100% and the service was phenomenal. A shout out to Derrin for providing us with a wonderful service the entire night. He was kind and made sure to consistently check in with us to make sure we were ok. The Sun Dial was worth every penny and we definitely will be going again in the near future. Thank you! It was my first time visiting Atlanta and dining at The Sun Dial was the best way to cap off my last night there! The scenery was beautiful from the 72nd floor overseeing all of the city. The service was amazing and the food tasted exquisite, I recommend anyone who’s looking for a great night out on the town! Absolutely loved it, excellent view and good will be returning. We really enjoyed it once we got there. It was confusing at first. It was a good time. We really enjoyed ourselves, food, live band, the view and the service was outstanding. I wanted to take my wife someone where special, and this was the place. Amazing view and food was nice. However service was subpar, bathrooms disgusting, and hotel doesn’t rotate as advertised. Was really let down with overall experience. The view was outstanding and most of the food was very good. Some dishes were (poached eggs with pulled pork) were not as tasty. However, we will visit again. Fabulous Food and View is amazing!! Also mandatory entree per person starting at 40 bucks. Our server was amazing, however the check in and hostess staff were a little rude. I had an awesome experience and I would come back again. Absolutely amazing place! Our waitress was truly one of a kind and made the experience that much better. Will return again in the future! Really enjoyed our visit and the food!